Every one of us must have lost our way once or more while travelling. It happens even when you are in your own city. Losing your way can sometimes cause big worries, as it happens when you have an important meeting lined up or a concert where you want to reach on time. Now, there are two ways you can handle the situation, one is to go around asking for directions and the other is to follow a navigation app. The second option is the smart thing to do as such an app not only guides you to reach your destination but also makes sure that you reach their faster and easier. 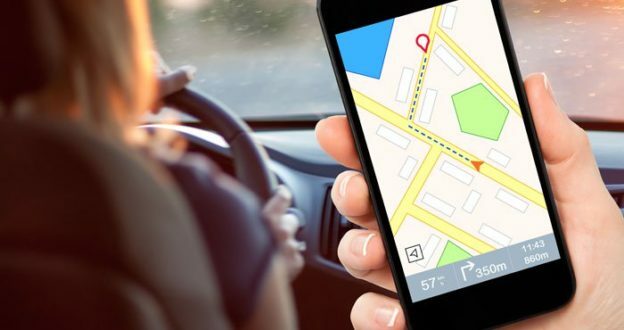 Considering the endless benefits of navigation applications, it comes as no surprise that you would find them perhaps on every single smartphone today. Recently, there has been an upsurge in the demand for navigation app development servicesas a consequence of the popularity of these apps. These applications not only daily commute much easier but are also capable of transforming travel experiences altogether. Navigation apps act like a free tour guide as they not only show you the way around but also take you to the best places to dine and explore at your holiday destination. Not only can you save money this way but also avoid falling prey to unscrupulous people who want to take you for a ride. Moreover, they provide interesting trivia related to the places of interest so that you can enjoy the visits better. The apps created by expert iPhone and Android developers are reliable to the core as they ensure accuracy by using advanced location-based technologies. The satellite-guided technology leaves no chance for human error, which means that the users reach the exact location via the shortest route and without any hurdles (eg. traffic jams, under-maintenance roads). Since these apps ensure that travellers are able to reach their destinations faster, they give them more time for sightseeing. Users are able to save time as they can avail the shortest routes and bypass traffic jams. This means that they can enjoy their sojourn rather than spend hours for commuting to reach them. Another amazing way in which navigation apps have changed the way people travel is by enabling them to establish seamless social connectivity. They can now share their location and travel status across their social profiles so that their loved ones can know about their whereabouts and safety. In this way, these applications serve as a convenient and inexpensive mode of connectivity. There are plenty of navigation apps that are free to access from the app store, whether you are using iOS or Android devices. Most of the devices even have inbuilt applications to provide navigational assistance. This means that travellers are not confined due to platforms or devices and can use these apps anywhere and from any device. Seeing the extensive benefits of these applications, it can be rightly said that they are a traveller’s best friend. And certainly, they are a help for travel and taxi businesses too. Most of them have such apps developed for the most popular platforms, Android and iOS to ensure maximum reach. At Android Developer, we are a leading Android app development company in India. We cater rich and interactive Android applications for diverse industry verticals. Get in touch with us to hire Android app developers for your project.